We've had another furiously busy week with little to show for it in school hours. Amber has been extremely symptomatic in regards to both dysautonomia and EDS all week, which meant when we did have time at home she was resting and attempting to recover. It's not been a matter of getting ahead and feeling better for her, but simply trying to stay afloat and not sink farther down into exhaustion and pain. It actually was a pretty good week though. After several trials, we can now say with as much certainty as with any food, that Amber is tolerating both bananas and carrots in reasonable amounts. Neither seems to cause any drastically noticeable reaction, even eaten with other questionable foods. Needless to say, Amber is ecstatic over this development! Up next in baking is her beloved banana bread (gluten free now days, though). Crafts this week in free time. Our biggest news is that Amber was selected to be on the homeschool group's yearbook committee in the position of Middle School / High School Layout Editor. She applied earlier this month and has been waiting to find out who made the cut. Amber knows / is friends with all but one person on the yearbook whom she is eager to also meet. The yearbook class will replace one of Amber's co-op classes next semester, but we don't know which yet since it depends on the time slot given to yearbook. There will also most probably be assignments and meetings outside of the co-op time. Amber completed the entire application by herself and emailed it in as directed without my assistance. I did give approval for her to apply, but still have not read her application responses. We are proud of her for taking the initiative and seeing it through. The entire committee seemed to be quite excited about their selection at co-op this week. We made our usual rounds of medical appointments for Amber earlier in the week, plus two medical tests for me (so far, all is good). Amber's flute lesson was switched again this week to accommodate our attendance at the St. Louis Symphony with the homeschool group. Art class and co-op still met as normal. I did attempt last weekend to schedule lessons for this week, but in the end we simply let formal lessons fit in where ever time and energy allowed. Amber's lessons consisted mostly of math, science, and history this week with a little reading thrown in the mix. Since she spends an extraordinary amount of time normally working on languages, I decided it was acceptable this week to emphasize the other subjects. We did somewhat solve the science dilemma that was holding back completion of those lessons. Instead of waiting on experiments that Amber did not have time or energy to complete, we are skipping some of the experiments in favor of completing the ones with less obvious results or experiments we have not already done in the past. This has freed up some much needed time and lets Amber get through more of her science book work. It's not ideal, but she gets through it now. I have hopes that we can take a Science Day sometime in the near future and perhaps work on a few of the skipped experiments, but I'm not holding my breath either. 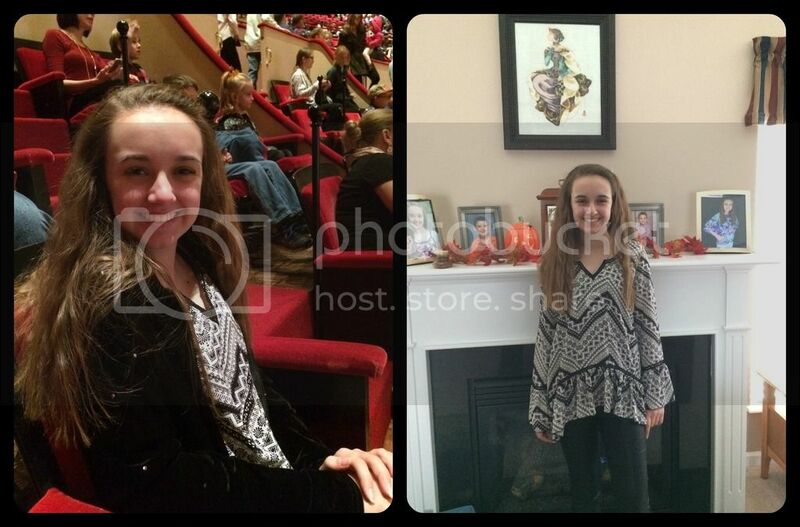 At the symphony with the homeschoolers! Amber and I sat, literally, in the seats next to our subscription seats. We also came to a decision about our Christmas / Winter break. With Thanksgiving quickly coming up in the less than four weeks some scheduling choices needed to be made. Last year, and the year before, we tried to do too much in December and it resulted in a sick child by Christmas. Amber is already symptomatic and although we hope to help her recover some before Thanksgiving, we can't count on that happening. However, we are a little farther behind in school than I'd really like to see, so we have come to the decision to treat December much like our summers. We will schedule fun activities as we feel Amber can handle them. Then on our busy days there will be no school work. On at-home-days Amber will complete as many subjects as possible. There will not be lessons scheduled out in advance each week since this makes Amber feel she must complete those. Instead, we will work our way through each subject as she has time and energy. We doubt there will be any full school days in December. Of course we know Amber will not get through any where as many lessons as normal weeks, but she will keep going in her subjects and continue to earn school hours. Hopefully, this will allow her to be right on track when we start back up in January, since I originally did not plan on her earning any hours in December. I have promised to give Amber a complete break from school work once we get close to Christmas. The key to December this year will be flexibility. Biscotti is never far from me. And proof Amber did some work this week, even if she did it with a Rosie-kitty. I'm still waiting to hear from the vet again today about Biscotti. His culture results came back just this morning with nothing specific grown. He's been on anti-nausea medication since last Friday, so we really don't know how he's doing except that he's even more clingy than normal. I need my kitty boy to be healthy again without spending an hour a day convincing him to take medication. This weekend isn't going to be any less hectic either. 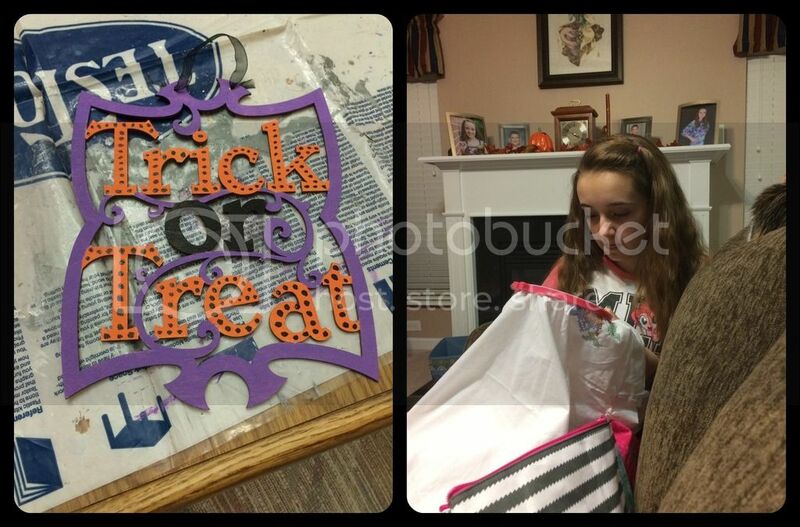 Amber is going to a friend's house for a Halloween Party on Saturday. Then Sunday she and I are serving at our church's sausage dinner. We will be almost happy for Monday to come around to rest again. It sounds like a good plan for getting through December. I hope the weekend goes well. Praying for your kitty. Our 16 year old dog is doing poorly and we will be taking her to the vet in the morning. I am not sure she will be coming back home. She is really failing (it seems to me). I'm sorry Amber had a rough week. Your plan for December sounds like a good one to me! Tell her congrats for me on being picked to be on the year book committee! I'm sure her application was very impressive! I hope Biscotti gets better soon, too! I like the idea of a homeschool yearbook. I have never heard of the idea in our area. I like it when our kids take the initiative and do a good job of it. Congratulations to Amber on being selected. I'll add Biscotti to my prayers. 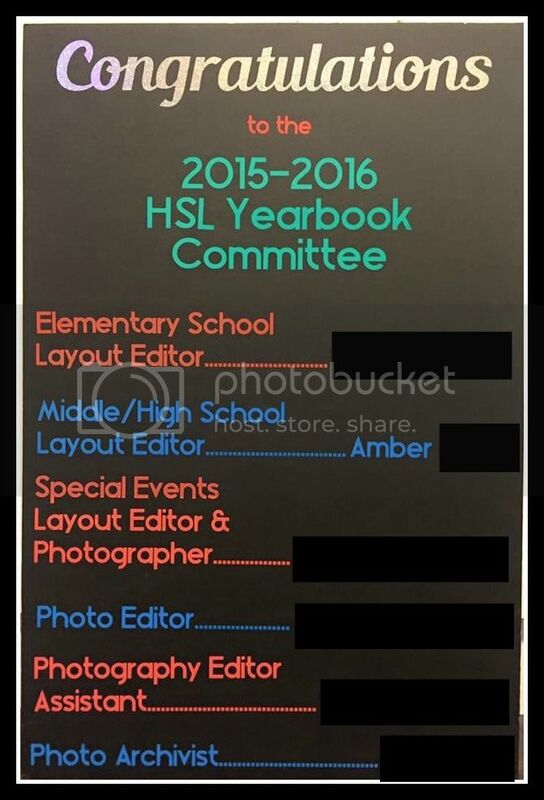 How exciting about the yearbook committee! It shows a level of maturity to take applying on herself...and look what happened! Lay out Editor! Go, Amber! But sorry she's been feeling under the weather. I think it's a great plan for December. December is such a hard month! 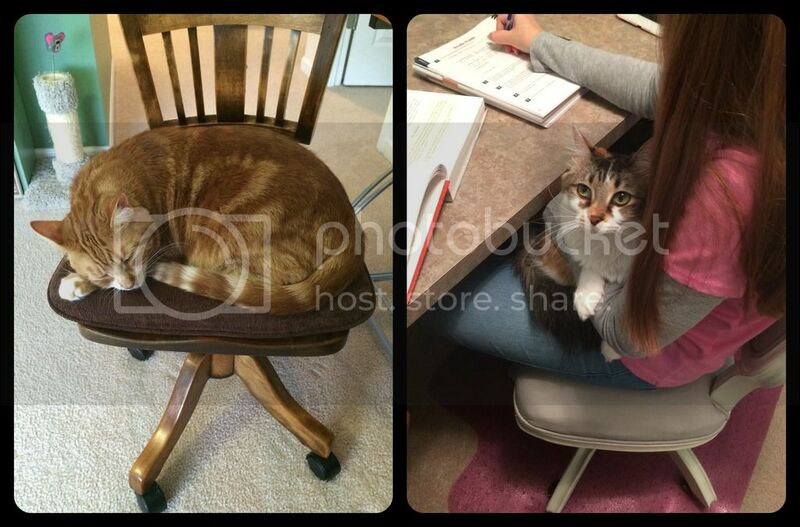 I try to homeschool the first 3 weeks, but flexibility is a must. Who wants to miss out on the special things of the holiday season or time with family? Congratulations to Amber for being selected for the year book committee! Your plans for Christmas and December sound very sensible. Isn't it wonderful we can all be as flexible as necessary to suit our family's needs? I hope you are having a great week this week and that Amber is feeling a little better.